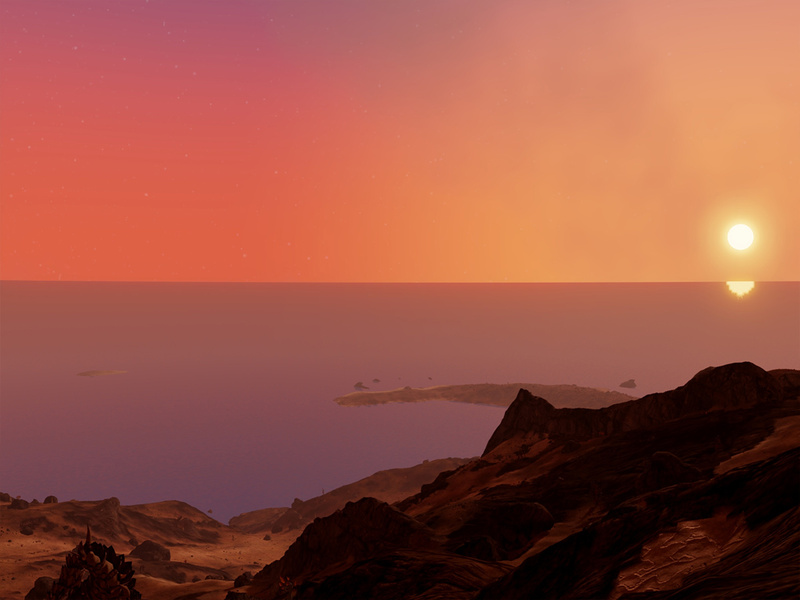 We are excited to announce that come next Tuesday, February the 18th, Extrasolar will no longer be in closed beta. Anyone who signs up at www.extrasolar.com after that date will have immediate access to the game. We've prepared a new trailer, above, to celebrate the launch. 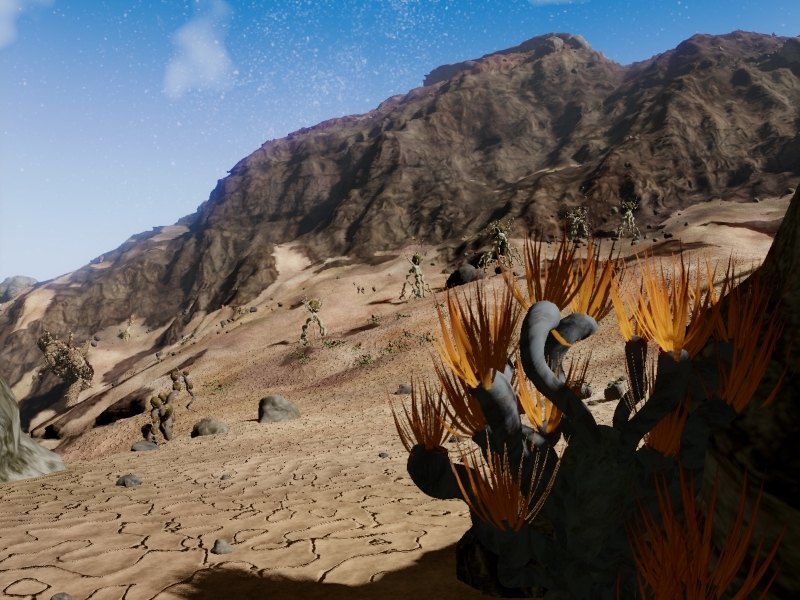 We're also happy to announce that Extrasolar is an official selection for South by Southwest 2014! We will be in Austin showcasing the game March 7-9, 2014. Below is the official press release for Extrasolar's launch. You can also find a press release from XRI on the exo-research page. I hope you have a pair of red/cyan 3D glasses lying around because this is something you'll want to see. 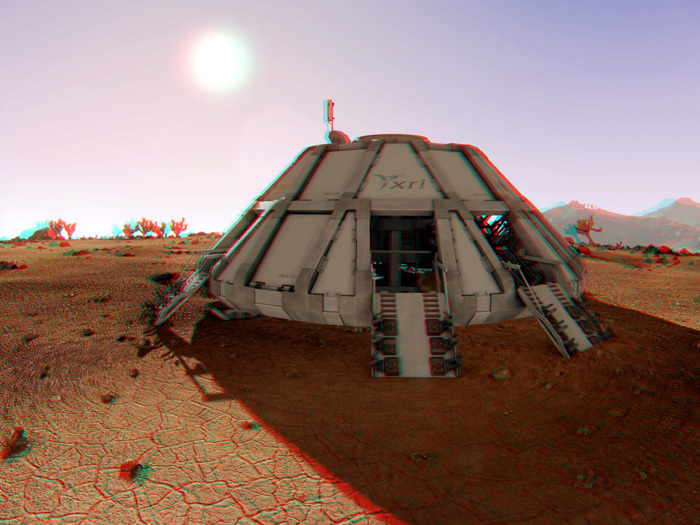 We're playing around with the idea of letting our Extrasolar rover drivers see their pictures in 3D. I think you'll agree that our early results are pretty sweet. 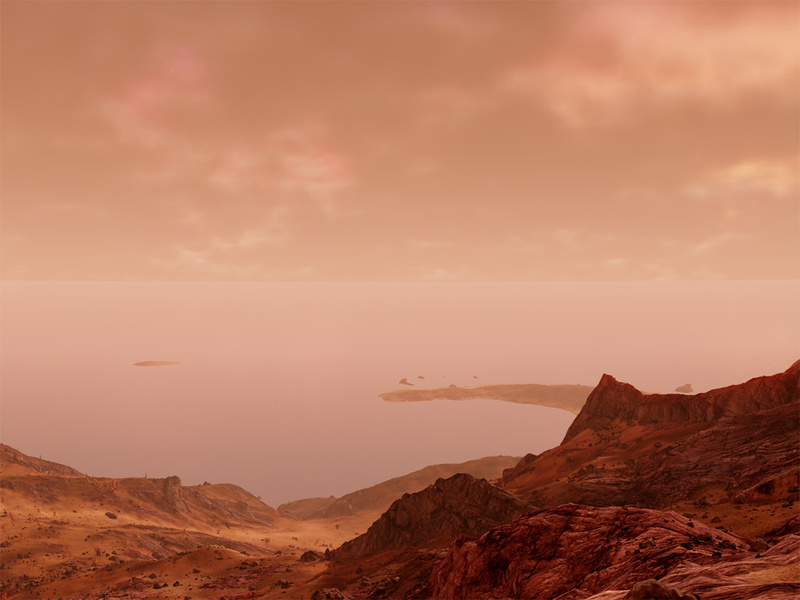 Over the last several months Extrasolar has seen some dramatic visual improvements. Much of that improvement is thanks to the efforts of recent team addition Brian Ramage of Black Jacket Studios. In today's post, Brian goes into detail on some of the technical process of creating Epsilon Prime's oceans. 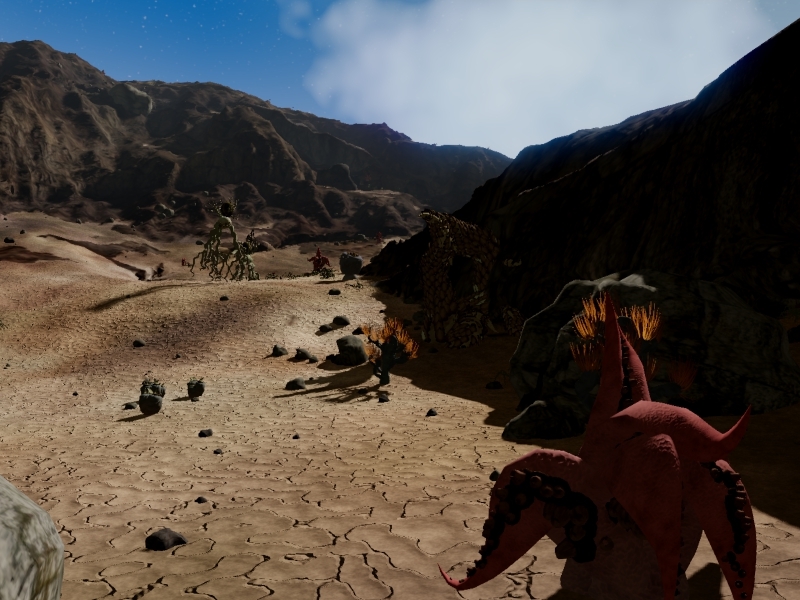 It's been a while since we last said anything about Lazy 8's next game, Extrasolar. You might think this means we stopped working on it but in actuality we've been working on Extrasolar almost exclusively since then. The last couple weeks have been an exciting time for us. A mantra that has driven this game from the start is that we want to blur the line between what is fiction and what is real, and in order to do that we felt that the photos you take on Epsilon Eridani e really needed to look great, that they should push you to question if what you're partaking in is really a game. After months and months of improvements to our rendering system we finally feel that we are starting to get somewhere near that goal. Something I've been doing in my playtesting the last couple days is re-visiting areas I took photos from months ago. Here is a shot from October last year (left) and nearly the same shot taken yesterday. So, are we getting there? Hit the jump to see more. A big congratulations to Ann Burkett for putting on a successful inaugural Game Design Conference here in San Francisco. I gave a talk on Innovating by Breaking the rules. For those who are interested in my lecture slides, you can find them here. 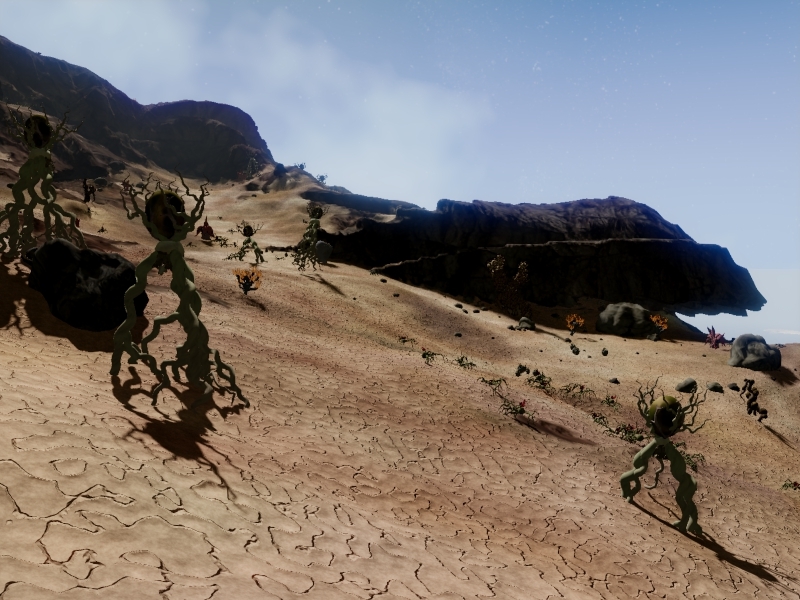 Here is another video of some of the tech we're building for Extrasolar, this time showing off the procedural system we're using to build populations of plants across the planet. 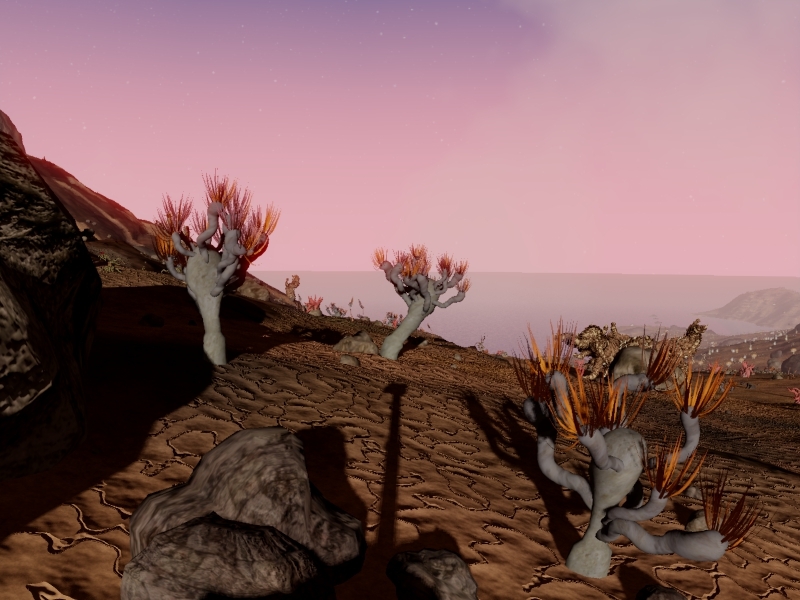 It's been just shy of a year since we first announced Lazy 8's next original game, something we're calling "The Extrasolar Project." To say it's a bit of a departure from anything we've done before (or, we like to think, anyone else has done for that matter) is a bit of an understatement, as you may have gathered from our original teaser post. Despite a good deal of radio silence we have in fact been working very hard and have grown from one engineer and one artist to a team of seven along the way. To break that silence here is the first of many videos of some of the tech we've been building that might give you some insight into how exactly this game is going to play out. 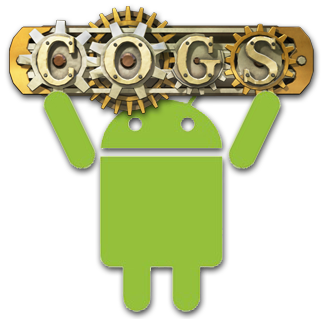 Read more about Cogs Comes to Android!